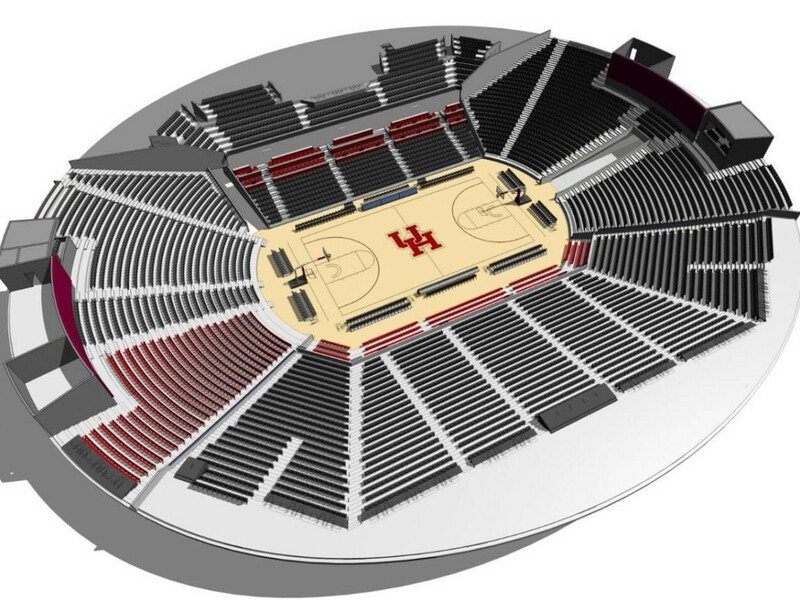 It was a virtual lovefest at the University of Houston Thursday morning as officials announced that the Hofheinz Pavilion basketball arena will get a $60 million makeover and name change. 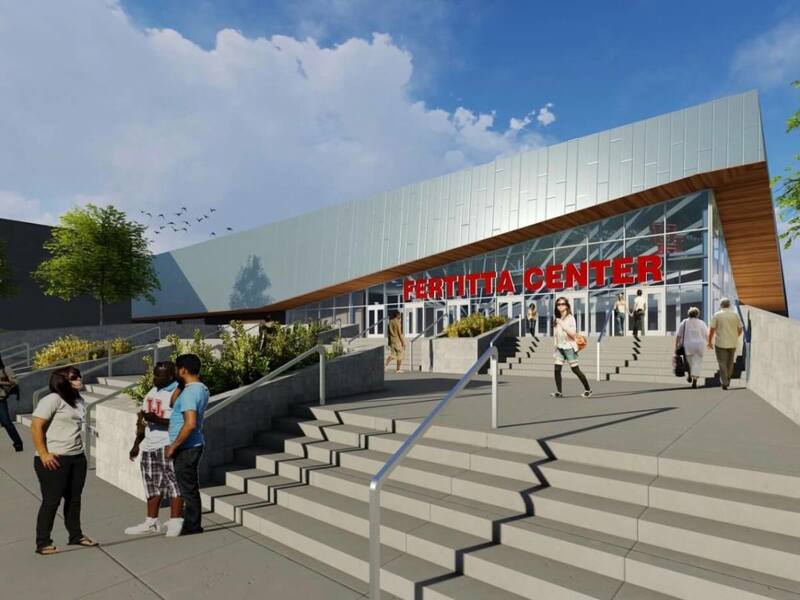 The facility, located on Cullen Boulevard in the heart of the UH campus, will be named the Fertitta Center in honor of Houston billionaire and chair of the UH Board of Regents Tilman Fertitta, who has contributed $20 million to the project. 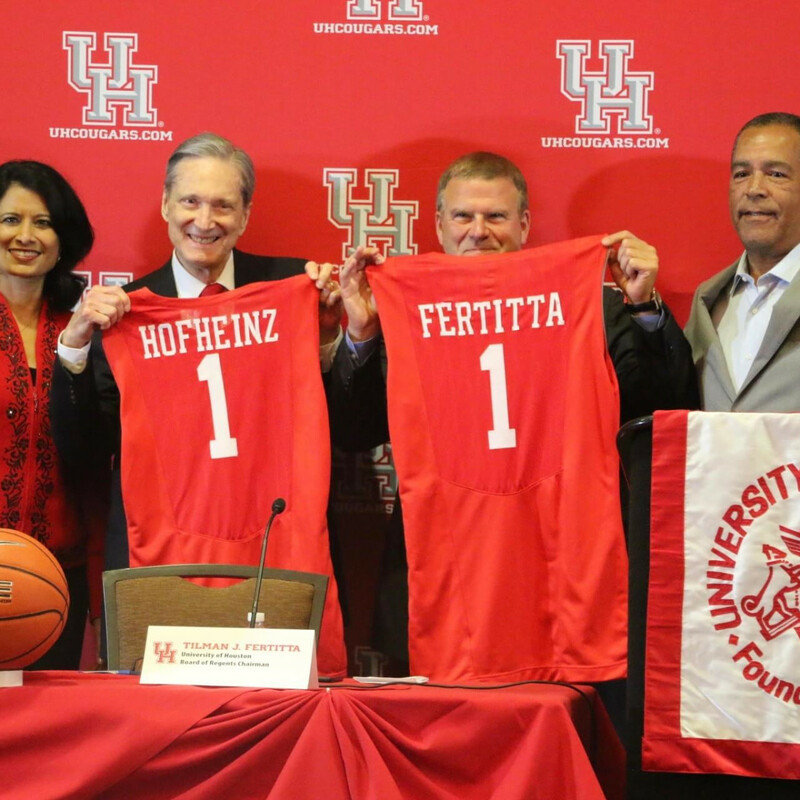 "What an honor it is for me to take this facility to the next level," Fertitta said at a press conference at the University of Houston Hilton Waldorf Astoria Ballroom. "It's just a great day and I'm glad to be a part of it." In the audience were the children of the late Judge Roy Hofheinz, for whom the facility was named 47 years ago. 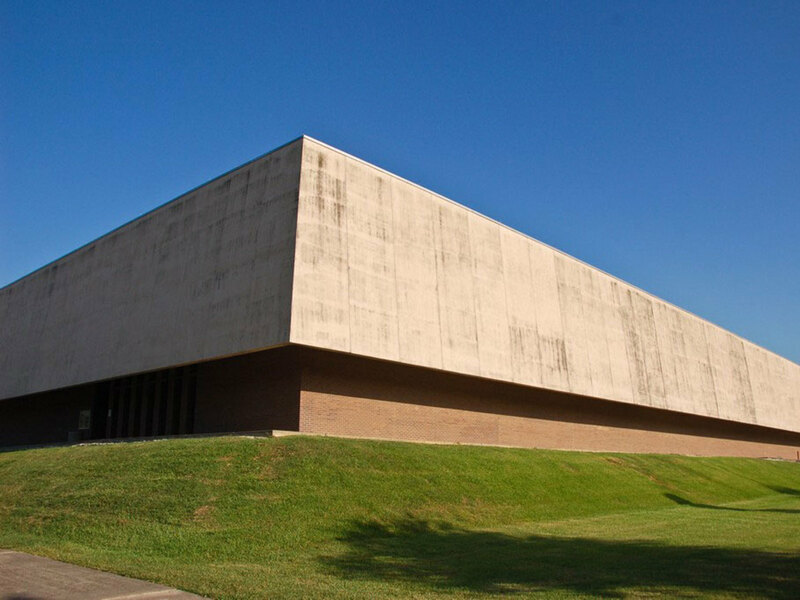 In May, they had filed a lawsuit seeking to keep the name of the athletic field house intact. They claimed that Hofheinz and the university had a contractual commitment and requested the university to honor that commitment. Hofheinz's charitable foundation paid UH $1.5 million — about $8 million in today's dollars — for the naming of the arena in 1969. 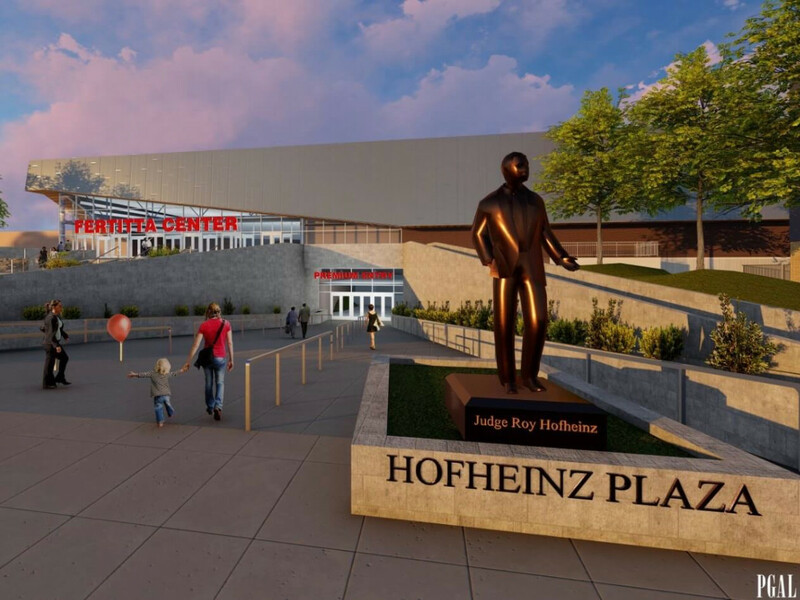 But after a lot of back room negotiations, in which the university agreed to build a plaza named for Hofheinz in front of the arena, with a bronze statue of the legendary builder of the Astrodome and longtime supporter of the University of Houston, the Hofheinz family now enthusiastically supports the renovation project. 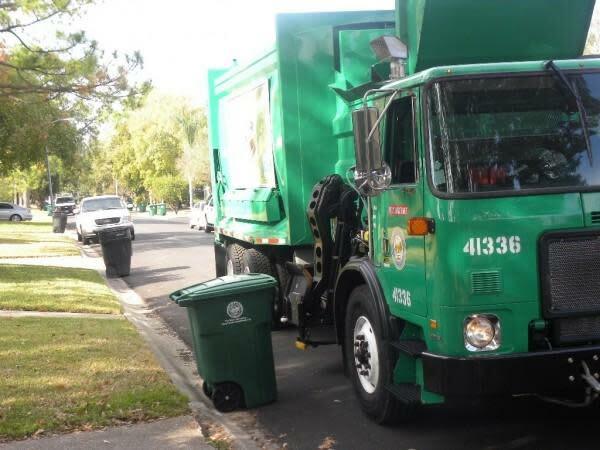 "Times have changed," Hofheinz's son, former Houston Mayor Fred Hofheinz, said. "We know that if our father were alive today that he would be supportive of this project with great enthusiasm." 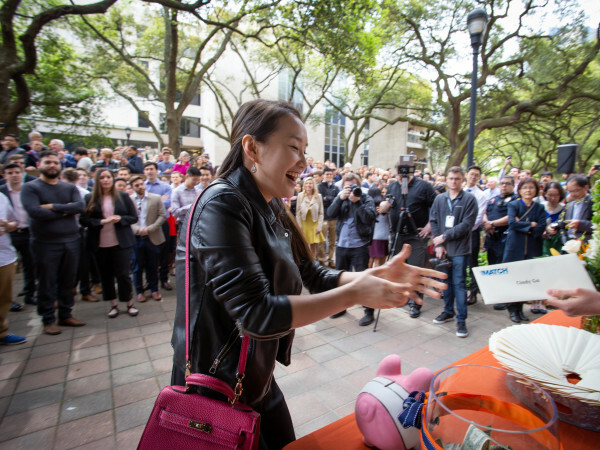 Fred Hofheinz added that the family thinks "it is great that one great entrepreneur — Roy Hofheinz — is going to be replaced by another great entrepreneur, Tilman Fertitta" and that the naming rights continue to honor a Houstonian rather than an impersonal corporation. 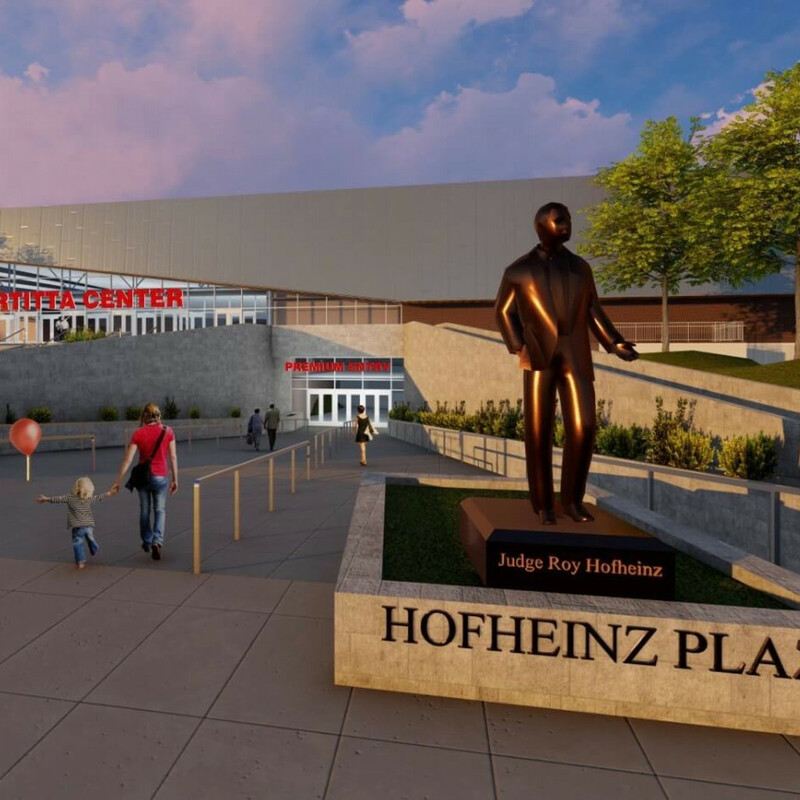 "We are grateful to the university for figuring out a way to honor Roy Hofheinz for his contributions," Fred Hofheinz said. "That plaza and statue they are going to build next to the arena is a very great gift to my family." 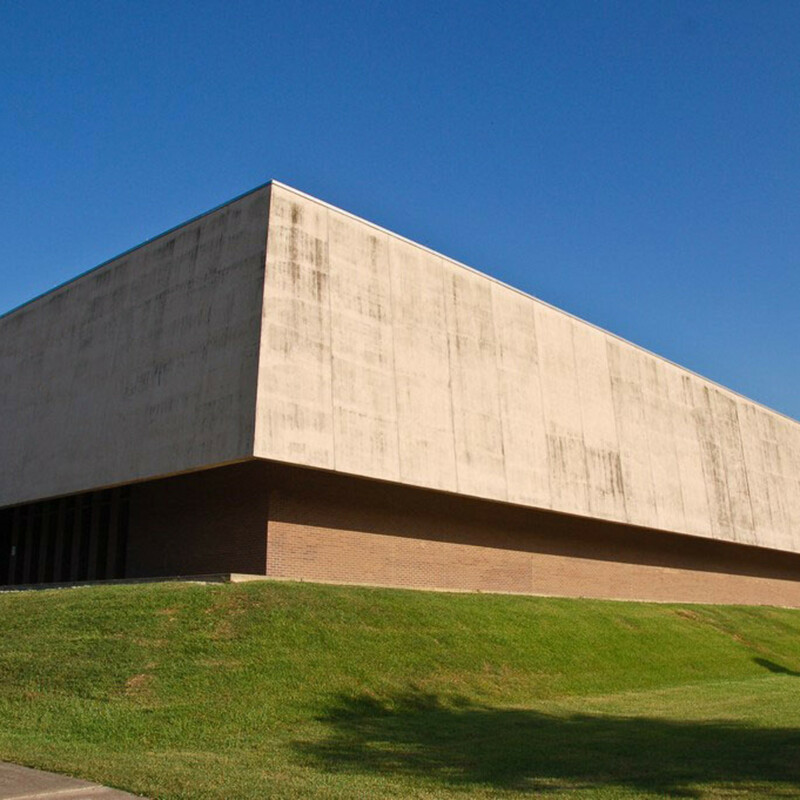 In addition, Roy Hofheinz’s records will be permanently archived and publicly accessible as a special collection in the UH library, and the Alumni Center will house an area describing the lives and public service of Roy and Irene Hofheinz. 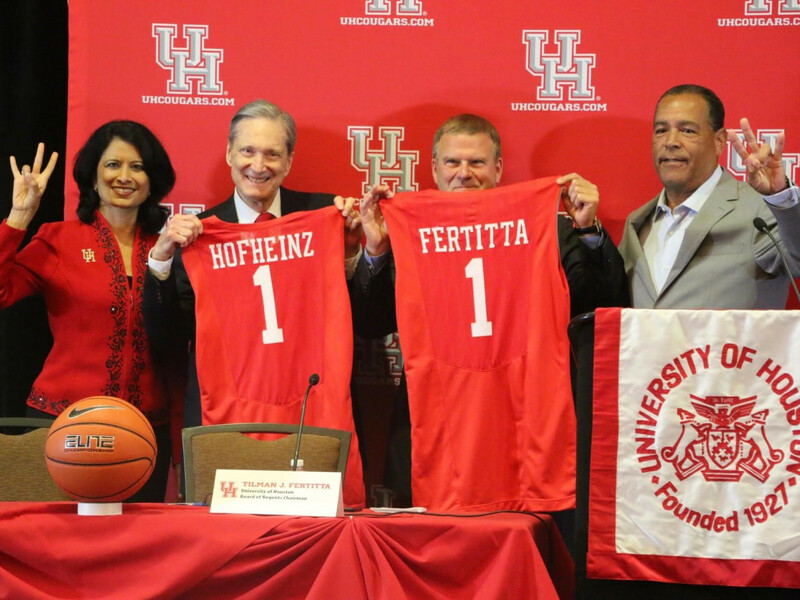 The Fertitta gift is the largest by an individual ever made to the UH athletic program. Renovations will include a VIP entry, premium club and courtside club areas and other amenities that are now standard at most modern arenas. 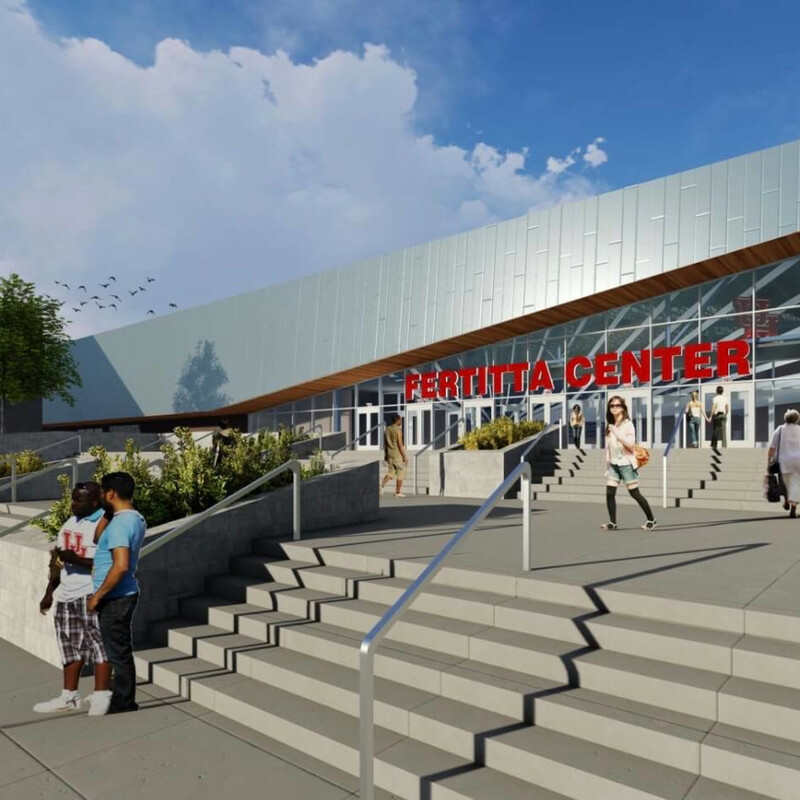 In addition to hosting men's and women's basketball games, the facility will be a center for concerts, Fertitta said, with 70-80 yearly events, when it is completed in 2018. "The campus is once again going to be a happening place," said Fertitta, who recalled seeing the Eagles, but regretfully not Prince, at Hofheinz when he was a UH student many years ago. 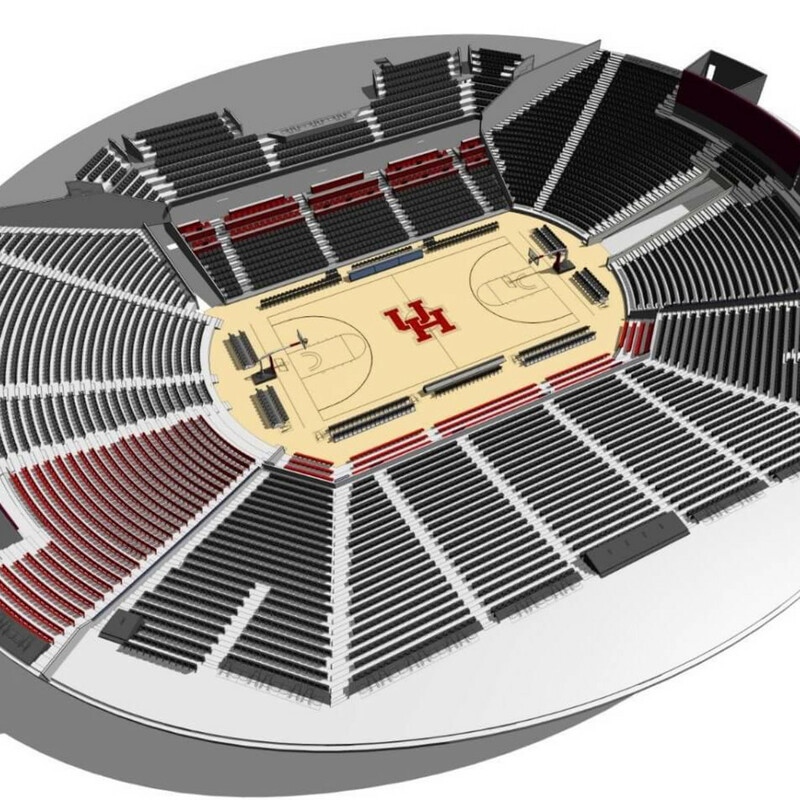 Fertitta added that the renovation would be helpful as UH attempts to secure membership in the Big 12. "One of the things they are going to look at is our facilities," he said. 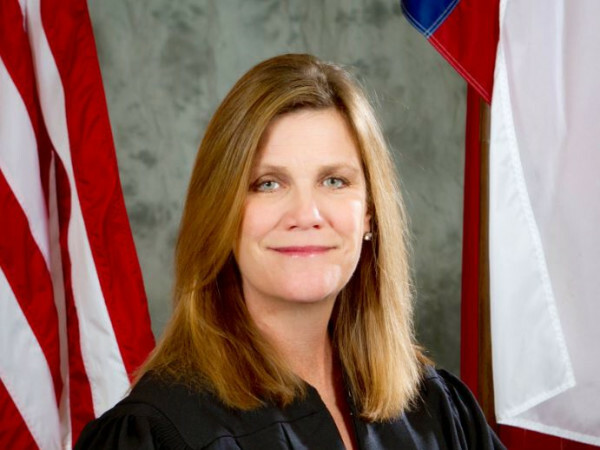 "I think this is a huge step. If we didn't do something like this, it would definitely hurt us."